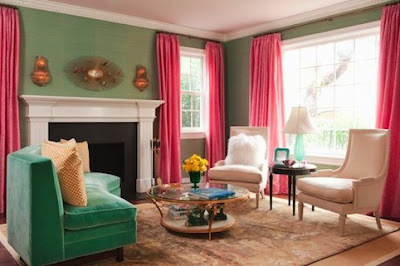 I love a room that is gutsy. 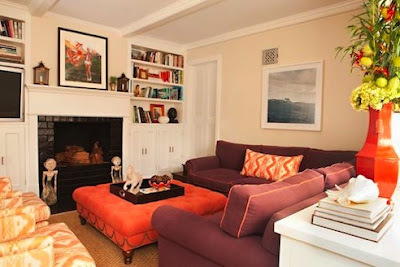 Pink drapes, Black wallpaper, Orange suede ottoman. Yes please. So not cookie cutter. Give me more! Mmmmmm….